GoDaddy is hailed as the leading providers of web hosting and related services on a global platform. GoDaddy claims to be the number one web hosting site. It provides excellent and customer-friendly services at affordable rates. A lot of the leading businesses host their website on GoDaddy. The company was founded in the year 1997 by Bob Parsons. 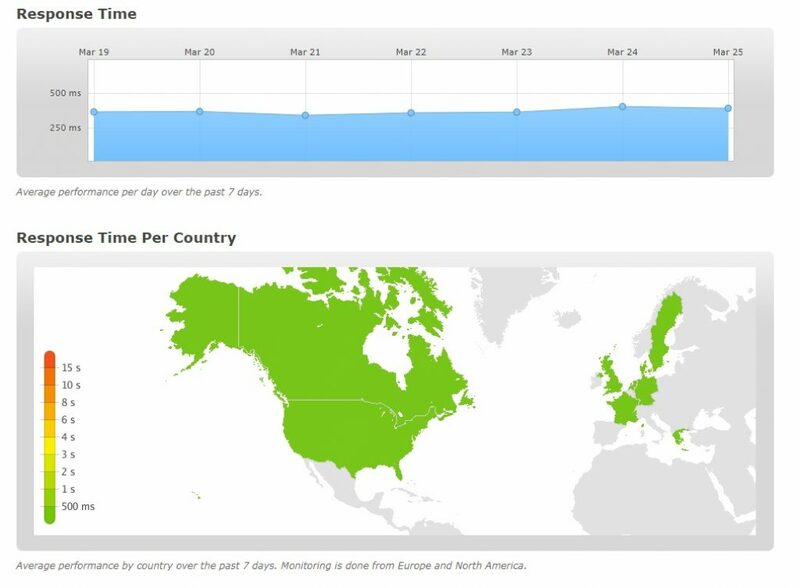 Today, the site boasts of a customer base of more than 17 million people spread across the entire globe. It currently manages as many as 75 million domains. It has an employee base of over seven thousand people. They make it incredibly easy and affordable for folks to choose a domain name, sign up for hosting, and start building their online business or personal web property. While known for their domain, email, and shared hosting services, GoDaddy offers options for virtual and dedicated servers as well. The user control options are pretty popular in the hosting space: your choice between the easy-to-use cPanel or Plesk control panels, plus Root (administrative) access for more tech-savvy customers. If you’re particularly interested in webmail, GoDaddy offers their GoDaddy Workspace feature, an intuitive interface for keeping up with the unlimited email accounts you have available to you as a customer. GoDaddy’s “Business Applications” includes items such as email accounts that you can forward to Hotmail or Gmail, online bookkeeping, online data storage, email marketing and an online payment system. Email marketing service, which starts at the price of $9.99/month for up to 1,000 subscribers. It has similar capabilities to MailChimp and GetResponse. Let us first discuss about the pros and cons of the web hosting services by GoDaddy. This website hosting platform offers a large variety of hosting plans suitable for most websites. It guarantees an uptime of 99.9 %. It is extremely user friendly and provides seamless experience to its customers. The platform provides industry standard hosting features for both advanced use & beginners. You also get round the clock expert customer support. Their live chat, telephone and email services are simply outstanding. You can reach out any time if you have any queries or issues with the server. This platform is a huge choice for all the Reseller hosting services. If you register with GoDaddy or transfer your domains to them, you can enjoy add-ons such as a one-page website to personalize as well as a photo album and email address. GoDaddy also offers promotional services such as social media and email-based marketing as well as pay-per-click (PPC) advertising campaigns. You only get a limited number of email addresses and database memory size. This makes GoDaddy not a good solution for larger businesses. Customer support may be slower than comparable services due to the sheer size of its client base. TTFB might be too slow at times. It may not happen too regularly, but there are chances that it would! Hosting issues with WordPress: No caching allowed, random errors. Random Errors: You can see random errors like “Error establishing database connection“. Though you can repair these easily, it becomes annoying. 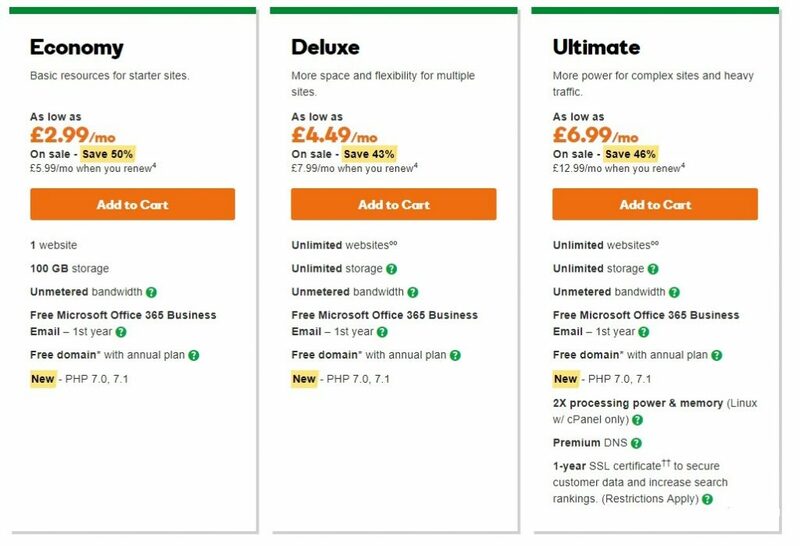 GoDaddy sells everything attitude: Every time you try to renew your hosting or domain name, GoDaddy tries really hard to sell you additional upgrades. When you click on “Renew Hosting”, you will see additional clutter, it tries to sell you additional domain name and e-mail hosting etc. GoDaddy offers a multitude of packages that are aimed towards various businesses. It has three basic packages: economy, deluxe and ultimate. 1-year SSL certificate to secure customer data and increase search rankings. 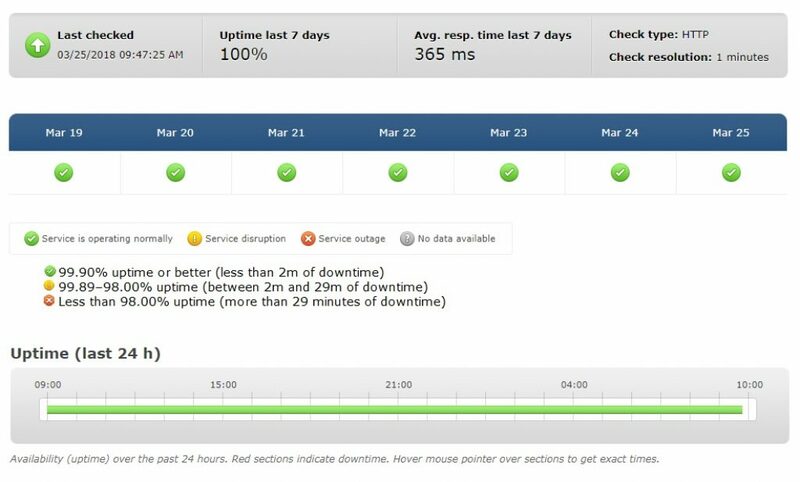 You would be thoroughly impressed with GoDaddy’s uptime. We found it to be 100 % most of the times. The lowest that you can see is 99.9 %. The memory usage of WordPress in the hosting site is slightly more than 150 MB. We would say speed is not so fast but you can’t call it slow either. If in case you experience a down time, it usually is up within 10 minutes. 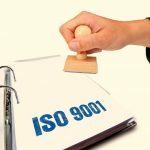 Reasons Why You Need ISO 9001 Certification?